Husqvarna currently has an excellent extended warranty program for all of their 2-stroke gasoline-powered products. 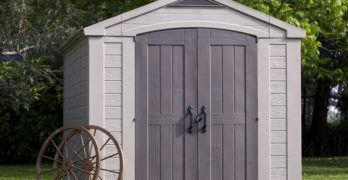 If you didn’t already have an incentive to buy Husqvarna products – which I’m a big fan of due to their long history and commitment to quality – you do now. They’ve had this offer going on for over a year now but not a lot of consumers seem to be aware of it so I’d like to encourage my readers to take advantage of it. You’d be silly not to. Continue reading for all the details of their press release. The Husqvarna Extended Warranty offer allows you to extend the warranty of your product to three or four years if you purchase Husqvarna brand 2-stroke oil or pre-mixed fuel. The consumer will need to take only 2 steps: First, the consumer must purchase at least 6 bottles of Husqvarna brand 2-stroke oil regardless of size and/or type at the same time as the qualifying handheld product purchase and both purchases must be on the original product invoice/receipt. Second, the consumer must register their product online. Make sure you buy a Husqvarna brand 2-stroke oil. The consumer will need to take only 2 steps: First, the consumer must purchase at least 96 oz of Husqvarna brand pre-mixed fuel at the same time as the qualifying handheld product purchase and both purchases must be on the original product invoice/receipt. Second, the consumer must register their product online. Read the full details on how the program works and the Husqvarna Extended Warranty Offer press release. The official program began on March 28, 2013. My suggestion is to take advantage of it while it’s still around. I have no idea how long they intend to keep this offer active. 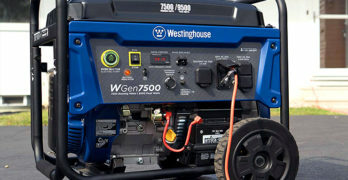 “…Husqvarna – the world’s largest producer of outdoor power products — announced the launch of a limited extended consumer warranty program for its 2-stroke, gasoline-powered products purchased by consumers. The standard two-year limited warranty can be extended to three or four years with the purchase of specific amounts of Husqvarna brand 2-stroke oil or pre-mix fuel when purchasing the 2-stroke, gasoline-powered products. I highly recommend extending your warranty. 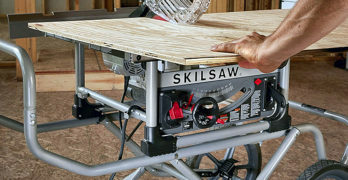 The cost is minimal, and as you know, power tools often break down due to their heavy usage. Protect your investment. 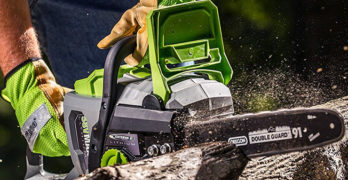 We’ve reviewed many Husqvarna products at Chainsaw Journal, and have featured a variety of Husqvarna power tools throughout our site. For a little extra money, I feel it’s a very good investment to purchase the pre-mixed fuel and extend your warranty to 4 years. In fact, you’d be silly not to. 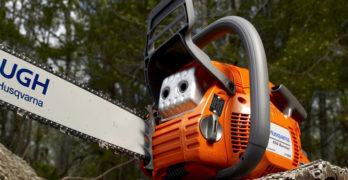 Typically, I feel that extended warranties are a waste of money but chainsaws and other tools are unique because they tend to take a lot of punishment and abuse which makes them more prone to breaking down. Husqvarna Offers Consumers Limited Extended Warranty Program. CHARLOTTE, N.C. – March 28, 2013 – Oil and water don’t mix, but oil and limited consumer extended warranties do – at Husqvarna. 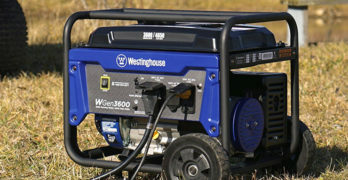 Today, Husqvarna – the world’s largest producer of outdoor power products — announced the launch of a limited extended consumer warranty program for its 2-stroke, gasoline-powered products purchased by consumers. The standard two-year limited warranty can be extended to three or four years with the purchase of specific amounts of Husqvarna brand 2-stroke oil or pre-mix fuel when purchasing the 2-stroke, gasoline-powered products. Eligible items include the following designated Husqvarna-branded handheld products: chainsaws, blowers, hedge trimmers, pole pruners/saws and trimmers. The program is only available for consumers who use the products for non-income producing personal use or household purposes¹. • One-year extension (three years total). Consumers must purchase at least six bottles of Husqvarna brand 2-stroke oil at the same time as the qualifying handheld product purchase, with both purchases on the original product receipt. • Two-year extension (four years total). Consumers must purchase at least three bottles of the new 32oz. 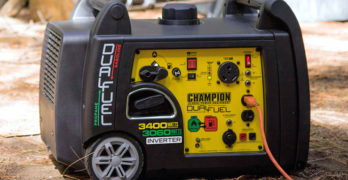 Husqvarna brand Pre-Mixed 2-stroke Fuel at the same time as the qualifying handheld product purchase, with both purchases on the original product receipt. Consumers must also register their product online or directly at the retail location where purchased in order to qualify for the extended warranty. Husqvarna 2-stroke, gasoline-powered handheld products are available at Husqvarna Dealers nationwide, Lowe’s and other supporting retailers. 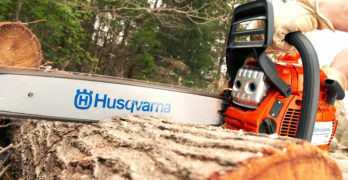 For a complete lineup of Husqvarna products, please visit www.husqvarna.com/us.